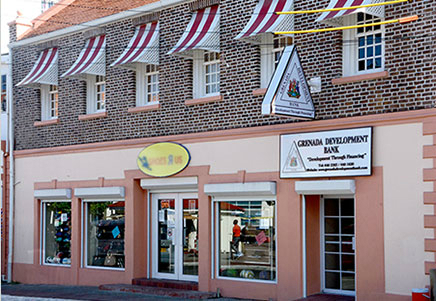 The Grenada Development Bank (GDB) non-performing ratio for 2016 continued on its downward trajectory reducing from 10.9% in 2015 and 7.41% in 2016. This has made the financial institution one of the best-performing Development Banks in the Eastern Caribbean regarding loan portfolio quality. The 2016 annual report of the bank became a public document when it was laid in the House of Representatives during last week Thursday’s sitting. Chairman Stanford Simon said that bank approved and disbursed more loans in 2016 than any other year in the history of its existence. “Ending 2015 with a total loan portfolio of EC$25.5 million the bank approved loans at a total value of EC$25.8 million in 2016, and EC$17.1 million disbursed.” This compared favourably to EC$11.7 million approved and EC$7.4 million disbursed in 2015. According to the report, those figures represent an increase of 112% and 129% respectively. “As a result, the loan portfolio increased by 41% to EC$41.6 million as at 31 December 2016. The bank’s funding for 2016 had a direct socio-economic impact on the Grenadian economy through the creation of 517 new jobs and the preservation of 171 existing jobs,” the report said. 2016 marked the 9th consecutive year of the bank realising operating profits and the 5th consecutive year of net profits. A new 5-year strategic plan would commence as of 2017, informed by a stakeholders’ consultation with representation and input from all the critical sectors of the economy.